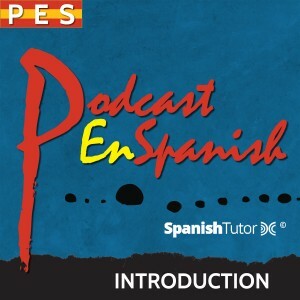 What is Podcast En Spanish? It’s a podcast series for anyone interested in improving his or her Spanish language comprehension and conversation skills. Who produces these podcasts? Spanish Tutor DC, a Spanish language school located in the Washington DC area (USA). Is this a course designed for students to learn Spanish from beginning to end? Nope. It’s not intended to be a teacher’s substitute. It’s just a tool. A great tool, but just a tool and nothing more. How much does it cost? Nothing. Zero. Nada. It’s free. Please explain. The podcast (the audio) is free. The learning guide, which is included with each Upper Beginner and Intermediate podcast, is free only for our DC, New York, or Skype and FaceTime students. Do you use English in these podcasts? Nope. You’ll hear only Spanish. Exactly like in our school. From day one we teach Spanish only in Spanish, even with complete beginners. What’s included in each podcast? Each Upper Beginner and Intermediate program is divided into three sections. The 1st section consists of a dialogue between two people. The 2nd one gives you in-depth commentary about the dialogue. And the 3rd is about grammar. Advanced podcasts are short conversations between two people. Are these podcasts for all levels? No. There are three levels: Upper Beginner, Intermediate and Advanced. Our podcasts are not for complete beginners. Do you speak at a normal pace or more slowly? In the Upper Beginner podcasts we speak more slowly. In the Intermediate level you’ll hear an almost normal, everyday pace. Are the dialogues and commentaries improvised? For the Upper Beginner and Intermediate podcasts we follow scripts written by Santiago Montero, the director of our school. He is also the host. He and other teachers are the “actors.” Little by little you will be listening to accents from across the entire Hispanic world. Advanced podcasts are regular conversations about different subjects. How about grammar? At the Upper Beginner level, structures, vocabulary and idiomatic expressions are easier. At this level, we don’t use any subjunctive tenses, for example. For someone at the Intermediate level, is it also useful to listen to the Upper Beginner podcasts, and vice versa? For many students it is. Intermediate students can review some topics they’ve covered before by listening to the Upper Beginner podcasts. And Upper Beginner level students can get accustomed little by little to speaking and listening at a more natural pace by listening to the Intermediate podcasts. How many podcasts will you launch per month? The 1st day of each month we will publish an Upper Beginner or an Intermediate podcast. We will alternate, e. g. in September an Upper Beginner podcast; in October, an Intermediate one. Besides each month we will publish at least two podcasts for advance levels. Little by little we’ll be increasing the frequency.